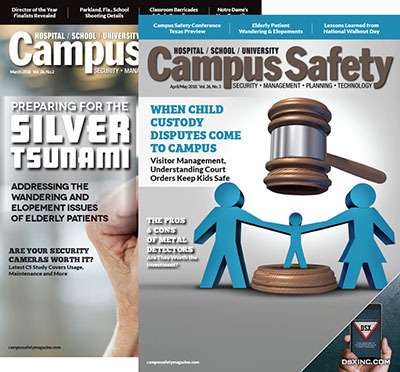 The layout of floors, open spaces and storage areas make every hospital, outpatient surgery center and clinic a unique planning challenge that requires security teams and caregivers to work together on the best solutions to secure specific areas. The “preserve” step includes strategies that reduce the risk for injury, such as staying away from windows and doors, moving patients to shelter if possible, and providing only the essential medical care required to preserve life. The reality of a hospital active shooter event is chaos. Responding law enforcement face a real dilemma: attacking the threat despite the presence of those who cannot evacuate and the challenge of defending those areas if the threat is only contained. Real events never fit the plan. That is why planning and training are so important. Educate and train on appropriate triage to optimize survival and care, especially when the ED is not available. 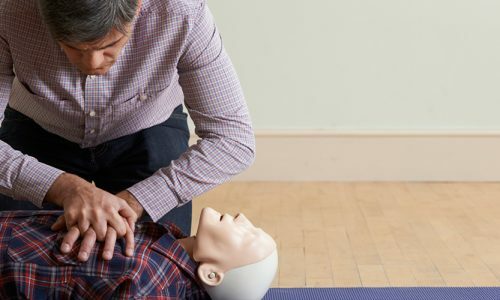 Practice bystander medical care – recurrent training is essential because certain skills decay rapidly. Establish protocols for any operative or imaging procedures using damage-control principles and an approach to wean anesthetics. Truncate any nonessential procedures underway; halt non-emergent care. Move patients and caregivers to the most hardened, sheltered areas. Educate and train staff on appropriate communication and behavior when law enforcement assets arrive in their area. Launched in 2015 by the White House, the American College of Surgeons (ACS) Stop the Bleed training program is excellent. All caregivers including clinical, administrative, and support staff should receive this training. Non-clinical adults, youth and children are very effectively taught through the Stop the Bleed program to use pressure, tourniquets and wound packing for severe bleeding, which is the leading cause of preventable death from active shooter events. Most active shooter and stabbing events are over in less than 10 minutes; however, it could take much longer for first responders to get to victims. Victims can bleed out in 3-5 minutes; the majority of victims with severe extremity bleeding can be saved. Staff should be trained in severe bleeding control of injuries they themselves sustain, and how they can care for the severe bleeding of someone else, even if they themselves are injured as well. Bleeding control kits should be located so that they may be obtained and used within 3 minutes of a major bleeding event. Ideally located next to AEDs and/or stored with pre-positioned emergency equipment, these kits are critical to life-saving care. The hospital’s Code Team will likely not be able to respond to a call during a violent intruder or active shooter event. Learning and practicing bystander medical care is essential. Consider education and training in de-escalation communication principles that can prevent the escalation of physical violence, especially when the active shooter is a spouse or has a personal relationship with the target. Once violence starts, de-escalation techniques are rarely effective. Provide education and training in mental and physical preparation for the choices they will have to make if direct contact with an active shooter occurs. Consider training staff regarding the use of available medical devices and equipment as barriers and defensive weapons. Train on evasion skills and caregivers should be taught how to work with security and law enforcement officers when injured patients, caregivers or police must be moved before the threat is neutralized. If elevators are shut down, narrow stairwells become dangerous choke-points, and staff need to be aware that active shooters may exploit this issue. 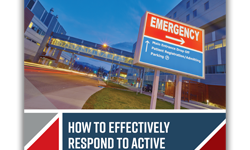 The best way to be prepared is to have a robust training program for the care of patients in non-evacuation areas and care of injuries inflicted in an active shooter event. These efforts should extend into the community through the relationship networks that make up its fabric. The best way to maintain competency is to have your security and medical personnel become bystander care trainers of children, youth and adults in their communities. Active instructors who regularly train others have the lowest competency decay. Offering free training for the public affords ongoing readiness in your staff. Regular deliberate practice using immersive simulation is critical to maintaining competencies that will be required for the most common scenarios. 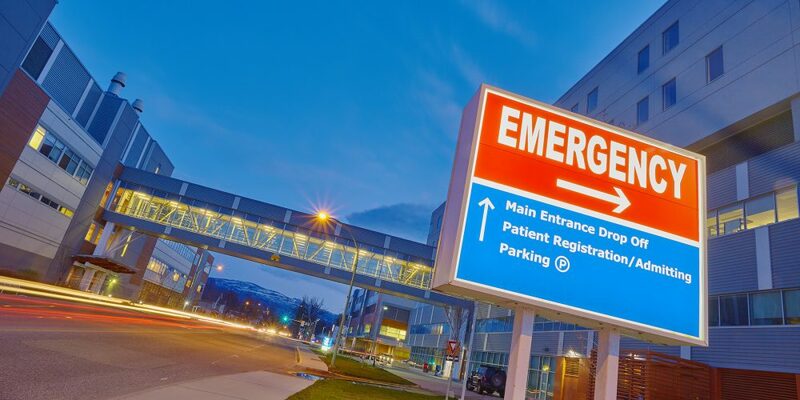 Make sure the local community knows that if there is an active shooter or terrorism event at your clinic or hospital, they should go to the next nearest appropriate hospital for their emergency care. 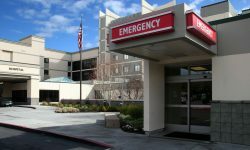 Inaba, et.al remind us to make sure to have transition-of-care plans to help relieve those staff who have provided care during an active shooter event, to plan for care diversion for those who might need hospital care, and plans for properly moving patients to another facility when needed. They also make the very important case for the psychological first aid of the patients, families and caregivers who were present during the event. Today, we in healthcare intensely focus on preparedness for and protection during an active shooter event. However, new exciting areas in threat safety science is in primary and secondary prevention. 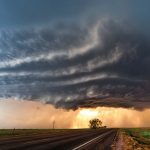 Primary prevention is preventing an event from ever happening by identifying behaviors of concern, early warning signals and the likely high impact scenarios. 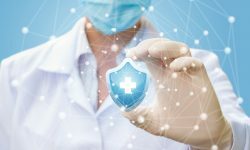 Secondary prevention is reducing harm far beyond the immediate injuries of victims, such as the potential harm to patients who have had care disrupted by an event. 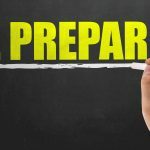 By leveraging the tools of performance improvement, studying prior events, employing immersive simulation and deliberate training, we can all move “left of boom.” There are many innovations on the horizon that can save more caregivers and patients who are caught in the uniquely challenging environments of hospitals, outpatient care sites and clinics. William Adcox is the chief security officer for the UT MD Anderson Cancer Center and UT-Health Chief of Police; Dr. Gregory Botz is a professor of anesthesiology and critical care and UT MD Anderson Cancer Center; Charles Denham III is a Junior Med Tac instructor; Dr. Charles Denham II is the chairman of the Texas Medical Institute of Technology. FBI says 250 active shooter incidents in the US as a whole, with 4% (10) being from healthcare facilities, not 250 healthcare active shooter incidents between 2000 and 2017. Hey Maranda – Thanks for pointing that out to us! Our author fact-checked this and made the correction in the article. This is fantastic! 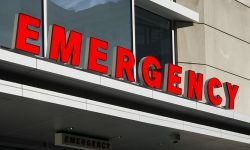 Finally, an article that accurately and eloquently describes the differences between healthcare and standard business preparation, training, and response to active shooters. Kudos to the authors. What if you are a provider in the ICU, OR or recovery room? Can you leave your patient if under fire?